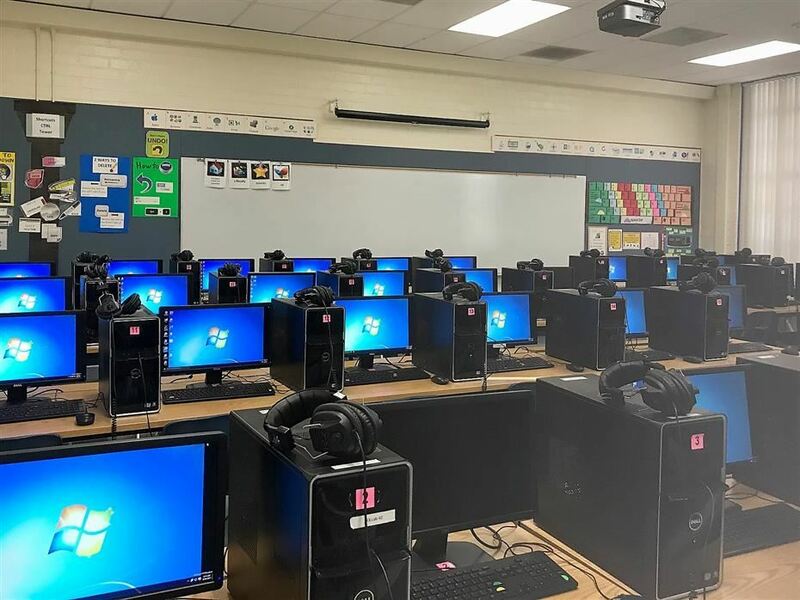 Each class at Columbus School visits the computer lab once per week, where students are given the necessary tools to be able to manage computer activities so they can perform tasks to develop, create, and complete projects. Students learn essential skills from basic computer use, to keyboarding, to how to operate Word, use presentation software, research, programming, and coding. Our goals is to help our students gain the knowledge and ability to use computers and technology efficiently. Our computer lab is staffed with a part-time multimedia technology assistant who is available to help teachers and students. Come to Lab with clean hands. Make sure you listen to directions. Push your chair in before you leave. Eat and drink outside of the Lab. Remember to ASK before printing. Learn something new every Lab Day. Be respectful to your teacher and classmates.